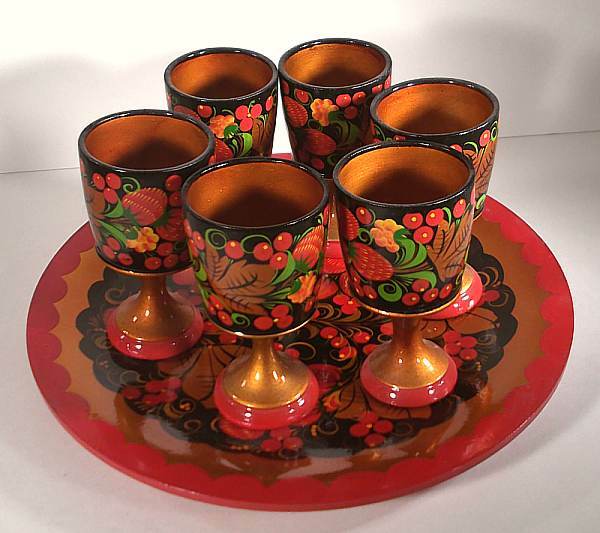 Khokhloma serving set which includes tray and six small goblets. The leaf and berry design is all hand painted and quite lovely. Bring a taste of Russian culture to your home with this unique item.